Flying over the Great Barrier Reef is one of life's great experiences. 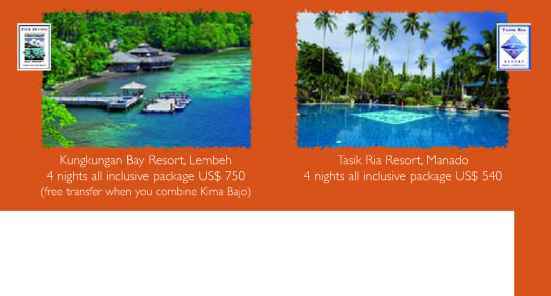 The endless maze of reefs, the brilliant blue of the water and the intricate shapes of each reef are a sensational sight from the air. But we were going beyond the reef and heading out to more unexplored and interesting territory, the Coral Sea, 400km off the Queensland coast. After an hour and half our goal was in sight, Marion Reef, and I was arriving in style - on a seaplane. Over the last twenty years I have been very fortunate to dive many of Australia's remote Coral Sea reefs. All offer fantastic visibility (generally 40m to 60m), pelagic fish, lots of sharks, a great diversity of reef fish, wonderful invertebrates species and some amazing corals. 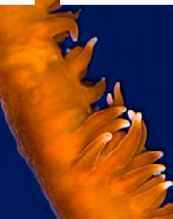 Everything is generally bigger and better in the Coral Sea. 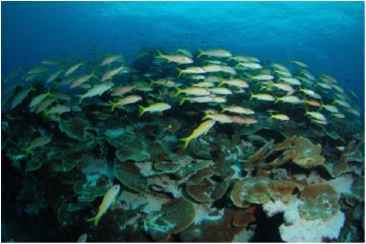 Marion Reef is one of the most isolated of the Coral Sea reefs. 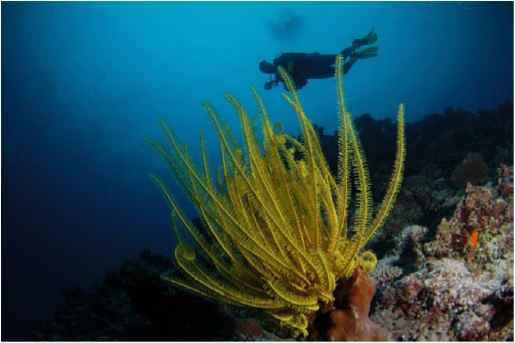 The reef is 40km long by 20km wide and is rarely visited by charter boats. But one charter boat that does go there is Odyssey, run by Dive Nomad (www.divenomad.com). All previous trips I have done to the Coral Sea reefs have involved long, and generally rough, ocean crossings, with many passengers getting very seasick. 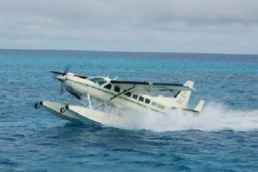 However, Dive Nomad have a better way to dive the Coral Sea, they take Odyssey out to Marion Reef for four weeks at a time and then fly out guests in a seaplane. The seaplane experience was brilliant, departing from Hamilton Island, in the Whitsunday Group, before we knew it we were landing in the lagoon at Marion Reef. 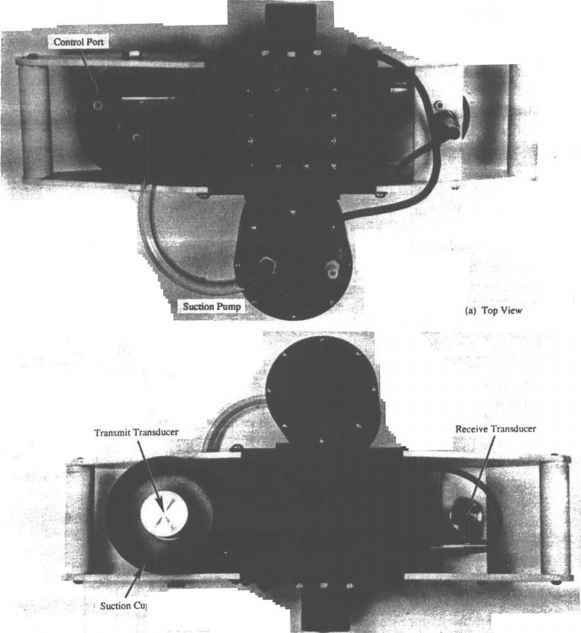 There is one slight problem with the seaplane, a weight limit of 20kg each, very restrictive for most underwater photographers. Between my wife, Helen, and I, we were just over 40kg with two camera systems and a limited amount of dive gear. Dive gear is available onboard, so we left the regs and BCDs at home. Odyssey is a 24m long catamaran that caters for 16 passengers in five comfortable cabins. The vessel has a large lounge/dining room, a roomy back deck, a bar and a spacious upper deck. We did find it is not really set-up for underwater photographers, with no camera table and only a small camera washtub, but we managed. But there are plenty of points for charging, Australian three pin plugs, and the crew were very helpful with any request. 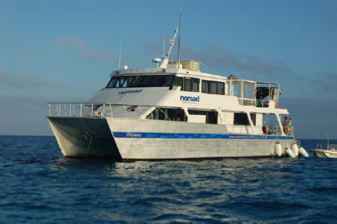 Odyssey operates both diving and game fishing trips to the Great Barrier Reef and Coral Sea. Our trip was actually a game fishing trip, but we had been invited to join the trip by Dive Manager Julieanne Gregory to find new dive sites and promote future dive trips to Marion Reef that will commence in June 2009. (Top) Odyssey at anchor at Marion Reef, Nikon D50, 18-55mm lens, 11400, f10, ISO 200. 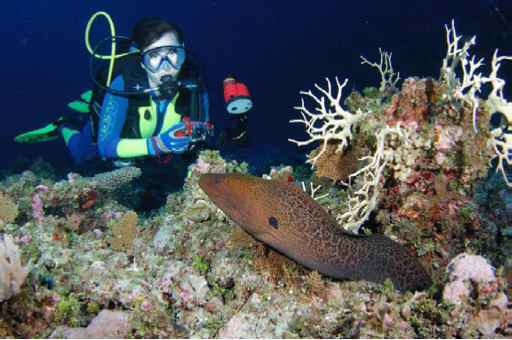 (Right) Helen photographs a giant moray eel, a common species at Marion Reef, Nikon D50, Ikelite Housing, Tokina 10-17mm lens, 11100, f13, ISO 200 and twin Inon Z240 strobes. had purchased the Tokina six months previously, but hadn't had a chance to use it underwater, due to being landlocked in India for work. I also packed my Nikkor 10.5mm, just in case the Tokina didn't stack up to all the hype. Marion Reef has a smorgasbord of dive sites and the reef is largely unexplored. In the lagoon are thousands of bommies, some the size of office blocks and rising from 60m to the surface. There are also numerous channels cutting between the lagoon and the outer edge of the reef, which are great for drift dives. While the outer edge of the reef varies, flat in some parts from pounding seas, there are also walls, canyons and caves to explore. The seaplane touches down in the Marion Reef lagoon, Nikon D50,18-55mm lens, 11400, J10, ISO 200. 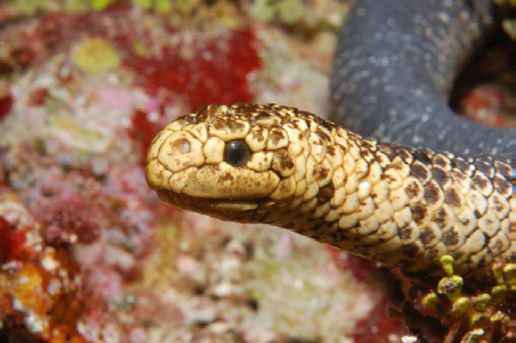 (Top right) The cute face of a turtle-headed sea snake, this species is non-venomous and eats only fish eggs, Nikon D50, Ikelite Housing, 60mm lens, H125,f22, ISO 200 and single Inon Z240 strobe. a while it noticed its reflection in the port so came out to investigate. Over the week we explored a number of new bommies in the lagoon. The ones in the shallows were great for macro subjects. Only 5m to 8m deep, we found moray eels, dragonet, gobies, blennies, shrimps, crabs, nudibranchs, anemonefish and lots of sea snakes. One of the best bommies we dived we called Goat Mountain. This bommie rises from 30m to 4m and was packed with life. Swimming around the bommie were reef sharks, Maori wrasse, coral trout, fusiliers and sweetlip. We found several moray eels; Helen was photographing one hanging out of a hole that suddenly disappeared when an olive sea snake came in for a closer look. This site was a great place to test out the Tokina 10-17mm as there was a huge patch of cabbage coral swarming with hundreds of yellow-finned goatfish. I enjoyed being able to zoom the lens, the wide end great to show the expanse of fish and coral, the other end better for shots of just the fish. Another wonderful bommie we called Big Eye Bommie, after the schools of big eye trevally cruising around. At this bommie there are several huge gorgonians, 3m wide, at 30m and some great soft corals. I had the 60mm lens on, so of course got buzzed by a grey reef shark. It was great to see so many sharks still in residence at Marion Reef, but they tended to be shy, staying out of camera range most of the time. Also at this site were the usual reef fish, dogtooth tuna and some wonderful spondylus clams. Some of the best diving we did at Marion Reef was in the channels that cut between the lagoon and the outside of the reef. At the Southern Channel we found a 2m long tawny nurse shark, while at the Northern Channel were quite a few giant moray eels in the ledges here. At both sites we also saw numerous reef sharks and the usual sea snakes. The Tokina 10-17mm got its best workout at Groper Channel. This narrow channel, 25m deep and 60m wide, was a sensational drift dive. We jumped in and descended right onto a small bommie completely covered in colourful spikey soft corals. From here we drifted along seeing schools of big eye trevally, dogtooth tuna, red bass, fusiliers, silver drummer, parrotfish and grey reef sharks. The fish life was just magic. We then came across a wall lined with rows of yellow gorgonians, then found a cave packed with multi-coloured gorgonians. I didn't know which way to point the camera, the fish, the coral, or both. Colourful feather stars decorate the coral at Marion Reef Nikon D50, Ikelite Housing, Tokina 10-17nun lens, H100,fl4, ISO 200 and twin Inon Z240 strobes. are catch and release, with a limited number of fish kept for the nightly meal, the meals were superb. The fishermen were after GT's and doggies (giant trevally and dogtooth tuna) good fighting fish, and they lost more than they landed, including a few to the sharks. We were a little worried about joining a fishing trip, but found the blokes to be great company. Many of them also dive and were just as concerned as we were about preserving the reef and its fish stocks. Southern Wall we cruised through canyons lined with wonderful hard and soft corals. During the dive we saw batfish, stripey snapper, coral trout, Maori wrasse, jobfish and a white tip reef shark. A highlight here was numerous anemones filled with a variety of anemonefish. A massive school of yellow finned goatfisli, a highlight at Goat Mountain, Nikon D50, Ikelite Housing, Tokina 10-17mm lens, 11100, flO, ISO 200 and twin Inon Z240 strobes. sharks cruise by. She named this site The Cinema. With southerly winds blowing we got the chance to do some exploratory dives at the northern end of Marion Reef. One dive was a bit dull on dead coral, though we did see a large school of squid, but all the other dives we did here were great. 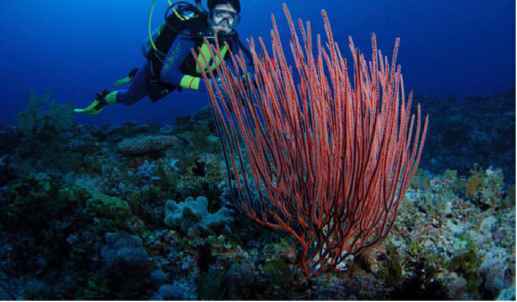 The best was on a series of coral ridges in 20m to 30m of water. Swimming from ridge to ridge we saw reef sharks, a giant trevally, gorgonian lined caves, the ever-present sea snakes, schools of pyramid butterflyfish and a large black-blotched stingray. The highlight was finding a 10m high bommie that was swarming with stripey snapper and fusiliers. The top of this bommie was encrusted with lovely corals while the underside was cut with ledges lined with sea whips, soft corals and gorgonians. While exploring this bommie we were surrounded by a massive school of chevron barracuda. Several hundred of these impressive fish circled us of five minutes. My Tokina 10-17mm got a good workout on these amazing fish and I was very impressed with the lens performance, the poor 10.5mm didn't even get a look in. Our week of diving Marion Reef ended all too quickly and before I knew it we were loading the gear on the seaplane for the return trip to civilisation. But flying over the endless bommies that are yet to be explored at this incredible reef I knew I would return to enjoy more spectacular Coral Sea diving. 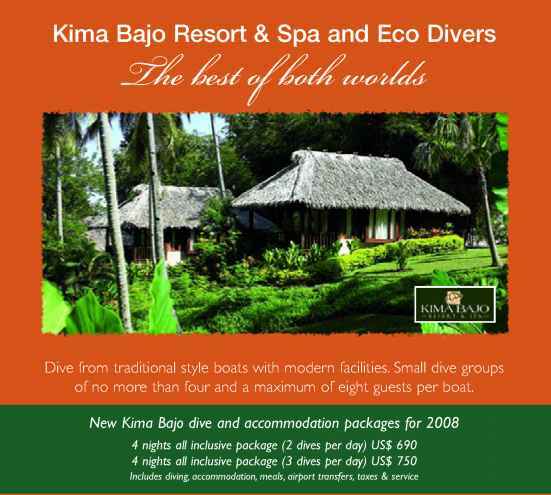 Dive from traditional style boats with modern facilities. Small dive groups of no more than four and a maximum of eight guests per boat.